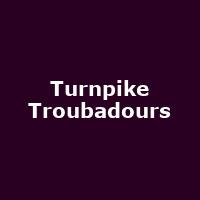 Turnpike Troubadours are an American band from Oklahoma, formed in 2007 and featuring Evan Felker, R.C. Edwards, Kyle Nix, Ryan Engelman and Gabe Pearson. They released their debut album, "Bossier City" in 2007, followed by "Diamonds & Gasoline" (2010), "Goodbye Normal Street" (2012) and 2015's: "The Turnpike Troubadours".